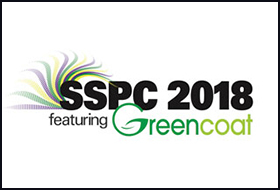 The Society for Protective Coatings Exhibition (SSPC 2018) was held January 15-18 at the Ernest N. Morial Convention Center in New Orleans, United States. SSPC is a non-profit association specializing in the use of coatings to protect steel structures such as bridges, boats, water tanks, locks and dams. Winoa USA had the opportunity to attend 30 technical committee meetings, as well as interact with more than 140 exhibitors. Finally, participants also enjoyed live demonstrations and discussion panels of the technical program that includes more than 100 speakers. SSPC is today one of the actors of the market which proposes technical trainings for the professionals of the coating industry. This is a very beneficial presence for our American subsidiary, as it has been able to present the products, and the solutions of our brand, this year focused on Profilium and WA Clean technology, and also to learn the best practices, by the conferences given. We choose to highlight Profilium because of its environment friendly benefits, indeed using it allows less dust, a greater visibility and have less environmental impact. Our team also presents WA Clean technology, it’s one of our added value purposed by our services. This exclusive tool is used for cleanliness evaluation after blasting. It’s a key of success for being a leading service partner. Finally, our presence at this show was a success, it is important for our teams to interact with the actors of our market; and strengthen the links. We would like to thank again SSPC for this welcome, and all the visitors who came to us, we will definitely be back next year!